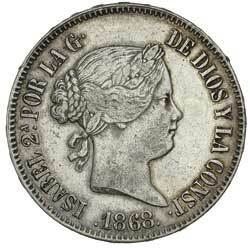 PERU, eight reales, 1837TM, Lima Mint (KM.142.3) (date not listed). Attractive tone, choice uncirculated. 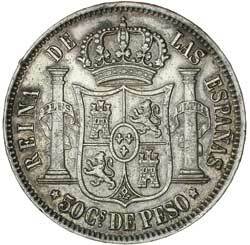 PHILIPPINES, Isabel II, twenty centimes, 1868 (KM.146). Nearly uncirculated and scarce thus.